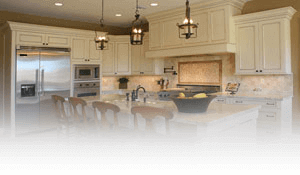 Since 1989, Mountain Creek Kitchen and Bath has built its reputation for excellence on the approachable expertise of our design consultants, installation professionals and the variety of fine products we offer. We understand that kitchens and baths are expressions of your personality which is why we personally custom fit your new or remodeled space to suit your lifestyle down to the last detail. 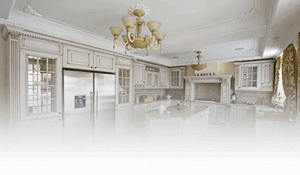 Between our team of experts and our expansive selection of top-quality cabinets and accessories, you are sure to be provided with everything you need for the look you envisioned. 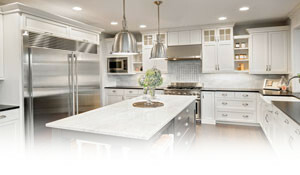 Mountain Creek Kitchen and Bath offers cabinet lines that rank among the industry’s top manufacturers, matching endless possibilities with an enduring commitment to quality. Explore almost limitless door style options and finishes. Choosing the perfect hardware to accompany your cabinets is yet another way to add your signature to your space. We offer an amazing selection including the fine products of Jeffrey Alexander, Berenson, and Richelieu to name a few. Our designers help make this tough decision simple. The right counter-tops are the icing on your custom fit cabinetry at Mountain Creek Kitchen and Bath. Complement your cabinetry with the durable beauty of quartz, granite, acrylic solid surface, laminate and cultured marble. Mountain Creek Kitchen and Bath offers cabinet lines that rank among the industry’s top manufacturers, matching endless possibilities with an enduring commitment to quality. Almost limitless door style options and finishes! We want to make your remodeling experience something you’d be pleased to do over and over again. Our goal is for your remodel to go so well, there’s no question as to who you’ll want working on your next project! We pride ourselves in our service of full turnkey installations. Your project will be completed to your satisfaction – every time. We’re here for you and will never leave you wondering what happens next!